Selfhelp Software Support For The Awakening Kit! Inspired Awakening Kit Selfhelp Software Support! This selfhelp software page provides information concerning the software applications and the minimum computer system specifications needed in order to make full use of the products contained within the Awakening Kit software package. The information here also serves as an interactive FAQ support page. Support is primarily offered through this selfhelp software support page. Please submit your questions concerning issues with any of the products contained within the Awakening Kit. I’ll update this page if any previously unknown issues become apparent through user feedback. If you do need support beyond this please contact me. Thank you. Once you have purchased the Awakening Kit, you'll be sent a link to where you can download a compressed (zipped) file, together with the "Read Me First Installation Instructions" PDF file, either for Mac or for Windows as indicated below. Read the instructions on how to install the Awakening Screensaver. Click this Adobe Reader link that takes you to Adobe Acrobat Reader software. Then simply choose, download and install which version of the Adobe Acrobat Reader software you want and install it on your computer. Simply install the Adobe Reader App on your smart phone and you're good to go! A word of friendly advice: you don’t need to install the McAfee Security Scan Plus or Safe Scan software, unless you have a specific need to do so. Once Adobe Reader is installed on your computer you can view and read the Awakening Words eAlbum right away. Note: The Awakening Kit eAlbum (eBook) was created using Adobe software, thus it works flawlessly with Adobe Reader. However, feel free to use a similar PDF reader to see how it displays, if you so desire. There are no special requirements for the Awakening Images they can be viewed using any JPG image viewer. The Awakening Screensaver installed and ran without any issues on most of the computer systems tested. However, there were one or two cases of outdated drivers and an issue with Kaspersky Internet Security and Anti-Virus, so a workaround is outlined further down on this page. PowerPC G4, G5, or Intel CPU, 867MHz minimum. 512MB or more RAM recommended. Video card with 32MB VRAM. Pentium 4 class computer (1GHz or greater recommended). Video card with 128MB VRAM + vendor-specific OpenGL 1.3 drivers. During the installation process the Awakening Screensaver software scans your video display drivers and, if necessary, advises you to update them prior to installation. Updating drivers isn’t always necessary, but it may be necessary if your screensaver isn’t working after installation. The Awakening Screensaver has been tested on many different computer systems, using both Macintosh and Windows Operating Systems. The only software failures that were encountered were due to outdated video card drivers! Once you’ve downloaded and installed the latest video card drivers the Awakening Screensaver should run without further issue. Most Anti-Virus and Internet Security suites allow the Awakening Screensaver to be installed without issue. If your anti-virus software will not allow you to install the screensaver for any reason, simply disable it or exit the program and install the screensaver, then re-enable your anti-virus software. 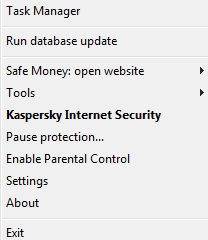 Important - If you use Kaspersky Anti-Virus or Kaspersky Internet Security for Windows, the next section is a Must Read. Kaspersky Ant-Virus and Kaspersky Internet Security suites, when using default settings will block the screensaver installation with a message saying: it has "generic Trojan-like behavior." Then Kaspersky will delete the EXE (installation) file and move it to quarantine, which prevents screensaver installation. To solve this issue simply exit Kaspersky before installing the screensaver, as follows. Select Exit. Kaspersky will ask if you’re sure, so just click continue. I’m sure other anti-virus programs are easy to exit! Once the screensaver is installed you can reactivate your antivirus program or restart your computer. Remember: If you do need support beyond what's on this page, please contact me. 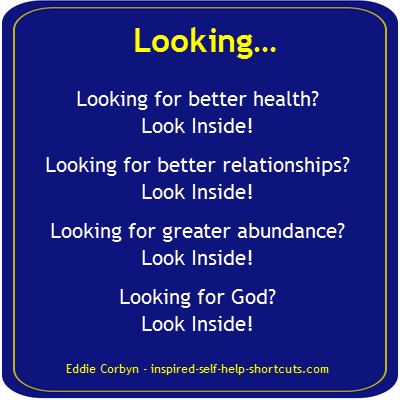 Return to the Awakening Kit Self Help Software sales page. Please submit questions or reviews about the Awakening Kit Selfhelp Software. Your story will appear on a Web page exactly the way you enter it here. You can wrap a word in square brackets to make it appear bold. For example [my question] would show as my question on the Web page containing your story.